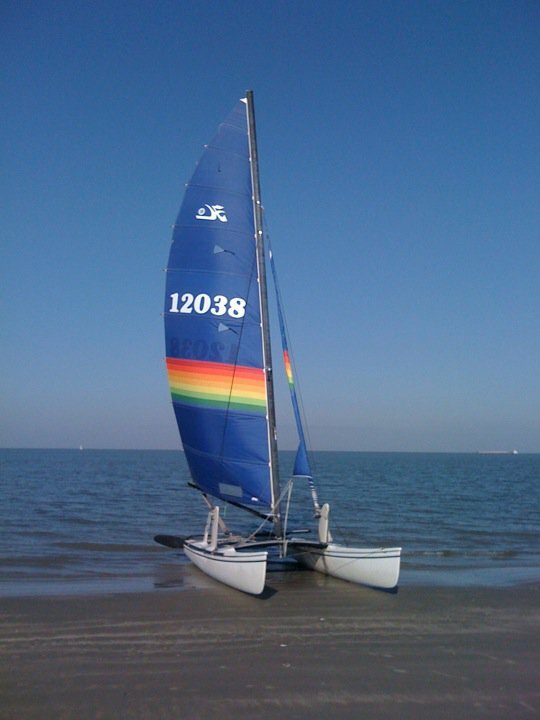 Wow its truly amazing how long the Hobie Cat company has been around and survived in a niche sport. Someone posted this link click here it’s an article from Popular Science August 1972! There several catamarans on this list I have never even heard of probably because I was not born yet and most of these company’s are long gone. The Hobie 16 is still one of the most active racing classes and one of my favorite boats it just cuts the surf like a knife and its fast on a beam reach! Hobie has the best product support in the business parts and info are easy to find. Take it from me you should consider this when buying a boat in most cases Hobie parts are on the shelf locally and if not Hobie overnighted parts to me so I could go sailing this weekend. I really dont care what boat you sail as long as your having fun. That is the point and finding the boat that you like is key!! I had a blast on my Hobie 18 yesterday it really feels like the boat I have been looking for! ~ by Floyd on April 3, 2011.